In stock and ready to ship in 2-3 days. 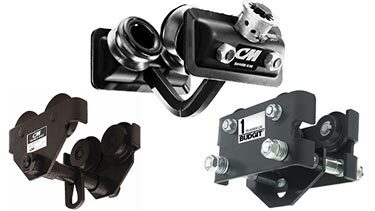 Ergonomic Partners proudly stocks and sells CM (Columbus McKinnon), Budgit, Coffing, and Harrington material handling equipment. 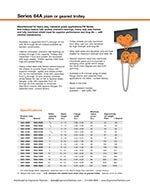 Whether lifting steel beams or positioning delicate electronic equipment, all of the necessary products are available from a single source for your complete lifting systems. 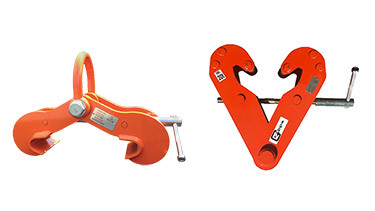 Jib cranes, enclosed track systems, crane components, trolleys, and beam clamps offer numerous options overhead, while hoists are available in electric, air, and manual configurations. 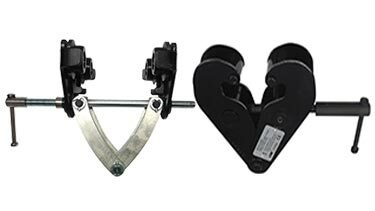 Below-the-hook attachments like spreader beams, shackles, chain slings, hooks, and clamps round out the most versatile line in the industry. We and our parent company Tri-State Equipment Company Inc. are the one authority that has it all. An integral part of the material handling industry for more than 59 years with a reputation for quality and durability. 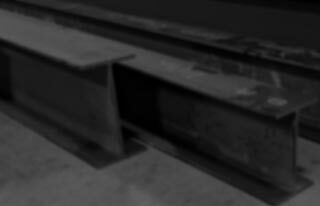 Simple, rugged, built for trouble-free service and ease of operation across a wide range of beam applications. 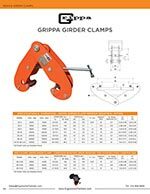 Features include: 1-5 ton capacity, Rugged steel side plates formed as bumpers/trolley guards, Universal tread flanged track wheels equipped with shielded ball bearings pre packed with lifetime lubricant, One-year warranty. 3302 1/2-ton 2.5-5.625 in. 3-15 in. 35 in. 3304 1-ton 3-8 in. 5-24 in. 35 in. 3306 2-tons 3.625-8 in. 6-24 in. 59 in. 3307 3-tons 4-8 in. 8-24 in. 71 in. 3309 5-tons 4.625-8 in. 10-24 in. 94 in. 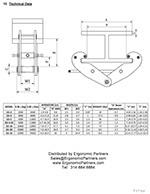 Universal for S-Beams, Wide Flange Beams or Patented Rail. This shorter, more compact trolley is 50% lighter than competitive beam trolleys, yet every bit as sturdy. 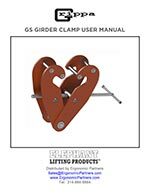 Features include: 1-3 ton capacity, Unique double row, ball bearing wheel design pre-packed with lifetime lubricant and greater wear capacity, designed for low headroom applications, Made in the U.S.A., and Lifetime warranty. 3222 1/2-ton 2.625-5.0625 in. 4-12 in. 7 in. 3224 1-ton 2.625-5.0625 in. 4-12 in. 7 in. 3226 2-tons 3.375-5.625 in. 6-15 in. 10 in. 3230 3-tons 4-8 in. 8-24 in. 10 in. This smooth rolling beam trolley features steel wrap around side plates, dual tread wheels and lifetime lubricated shielded ball bearings and is available in plain and geared models. 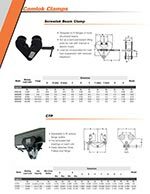 Features include: Superior performance and long, efficient service, universal hanging clevis accepts most hook mounted hoists, lifetime lubricated bearings, lifetime warranty. CBTP-0025 CBTG-0025 1/4-ton 2.0-8.7 in. 27 in. 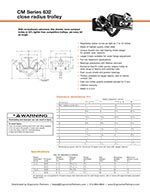 CBTP-0050 CBTG-0050 1/2-ton 2.0-8.7 in. 27 in. CBTP-0100 CBTG-0100 1-ton 2.3-8.7 in. 36 in. CBTP-0150 CBTG-0150 1.5-ton 2.3-8.7 in. 45 in. CBTP-0200 CBTG-0200 2-ton 2.3-8.7 in. 45 in. CBTP-0300 CBTG-0300 3-ton 3.0-8.7 in. 55 in. CBTP-0500 CBTG-0500 5-ton 3.5-8.7 in. 70 in. 1641-0025 1642-0025 1/4-ton 2.66-5 in. 20 in. 1641-0050 1642-0050 1/2-ton 2.66–5 in. 20 in. 1641-0100 1642-0100 1-ton 3-6 in. 24 in. 1641-0150 1642-0150 1.5-ton 3-6 in. 24 in. 1641-0200 1642-0200 2-ton 3.33-6.25 in. 30 in. 1641-0300 1642-0300 3-ton 3.33-6.25 in. 30 in. 1641-0400 1642-0400 4-ton 4–7 in. 36 in. 1641-0500 1642-0500 5-ton 4–7 in. 36 in. 1641-0600 1642-0600 6-ton 4–7 in. 36 in. 1641-0800 1642-0800 8-ton 4.62-8 in. 60 in. 1641-1000 1642-1000 10-ton 4.62-8 in. 60 in. 1641-1200 1642-1200 12-ton 4.62-8 in. 60 in. 1631-1600 1632-1600 16-ton 6-8 in. 96 in. 1631-2000 1632-2000 20-ton 6-8 in. 96 in. 1631-2500 1632-2500 25-ton 6-8 in. 120 in.